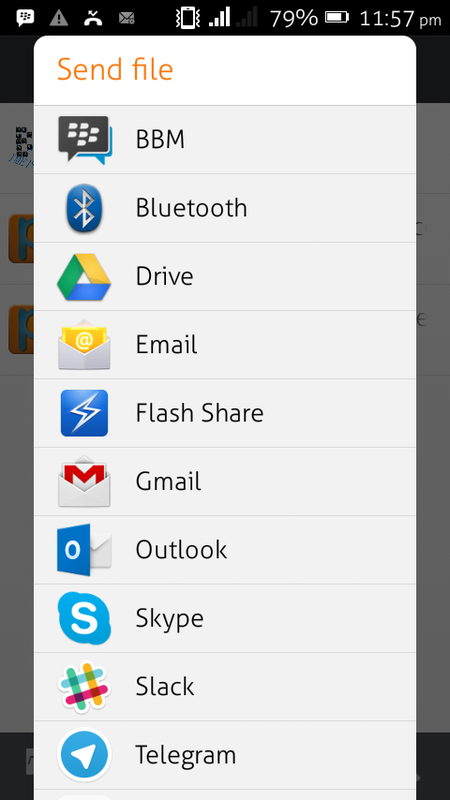 It's really nice how Android made sharing seamless across its operating system over the years. 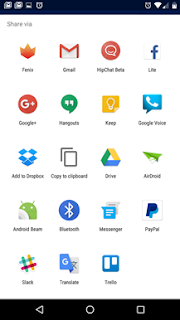 We know on previous Android OS versions, (around 4.2 Jellybean to the recent Marshmallow 6.0), we always had been seeing the same ways of sharing Files or data, the standard "share" command and its collection of APIs allows for easily getting content sent from one app to another. 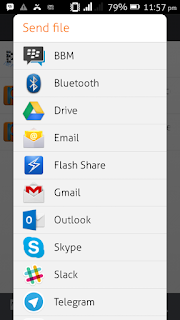 A practical example is using my Android Kitkat device when I want to Share a file, you Tap the "Share" icon and see a list of Apps you can use to share it. Looking at my screenshot below, my device (running Android Kitkat), there are quite too many Apps on the list using that Share function, I am sure only few are relevant to me when sharing stuff. 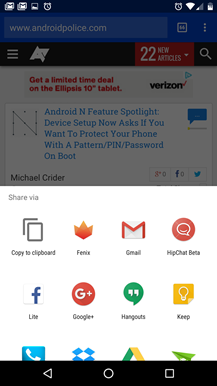 Android N has a little feature that makes that interaction much more user-friendly now: Share apps can now be pinned to the top of the cross-app menu. With this, even if you have installed plenty apps that have Share function, you don't have to scroll too much to find the App you want to Share to. 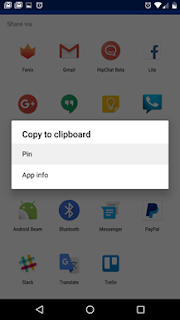 Pinning Share Apps: To pin share apps is also easy, simply open the Share Menu from any App (like when you're sending a file), the list of apps will come up, just press and Hold any of the apps and select "Pin". 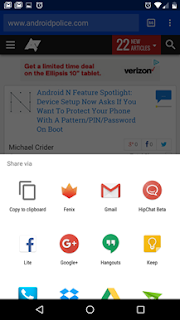 After you Pick and Pin any app, it will stick at the Top for you to quickly use it when sharing content. 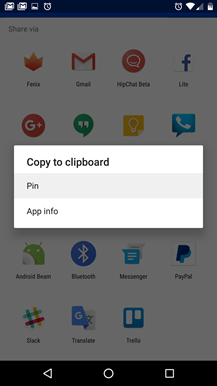 To Unpin any app, long-press the app to have it removed. Will leave to use Android Z. Please, which phone is using the latest android N bro?? ?